This course is designed to enable those new to the defensive use of the pistol or those who wish to hone or refresh their technical skills to learn the basics of defensive pistol techniques and associated equipment. 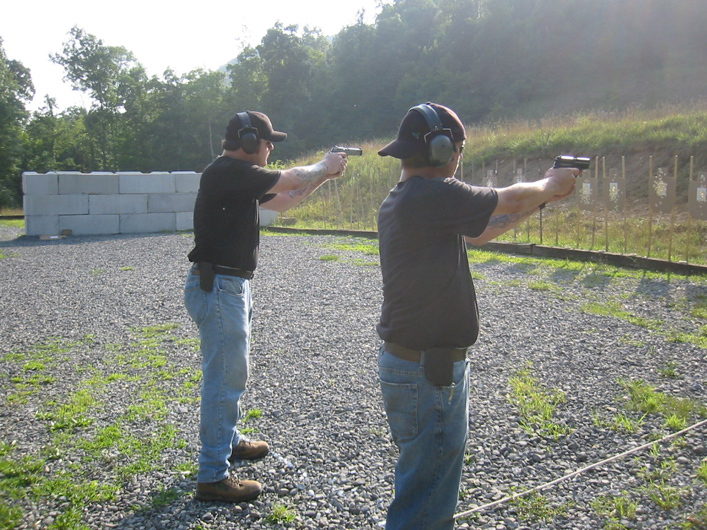 It is comprised of formal firearms safety training, firearms responsibility, and the basics of the Modern Technique of the Pistol. The course includes significant range time (200 rounds fired) and reality based live fire scenario training. Recommended for those who have not attended a formal defensive pistol class in more than two years. Successful completion of this course is accepted for WV, VA, OH, concealed carry permit applications.